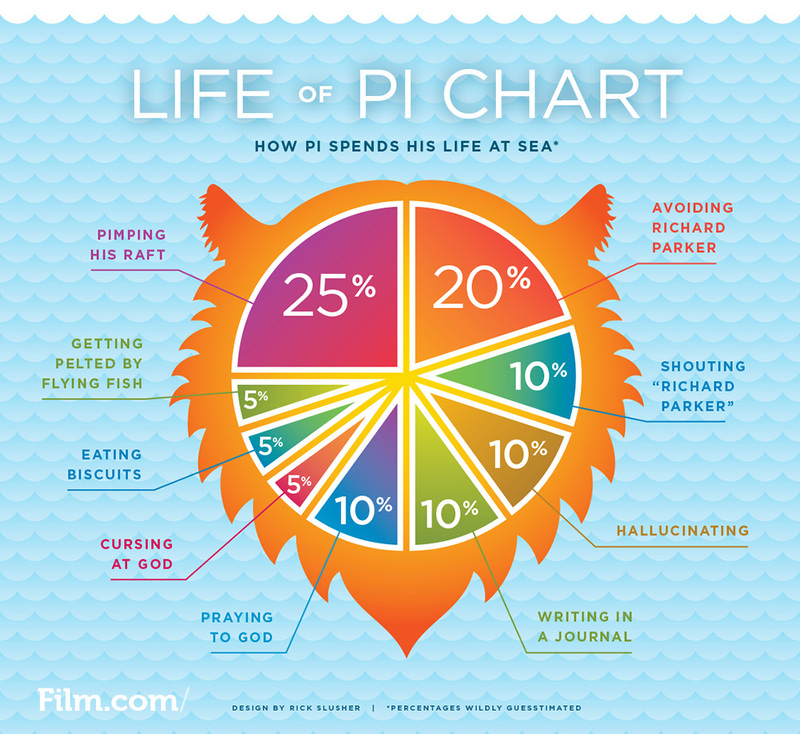 Life of Pi is probably the most Hollywood of all the films I have reviewed for this website but in certain ways it's about as Bollywood as a movie can get. With a story set in India, gorgeous sets, hypnotic music and a fantastical almost other worldly story - it's a movie that has to be seen in order to truly 'get' it. It's based on a best selling novel of the same name and has often been referred to as unfilmable by a number of directors that have tried to do so - M. Night Shyamalan (could have been a career saver) and Alfonso Cuaron among others. Enter Ang Lee who broke two classic rules of film making (never work with animals or children) as well as a few new ones (never film a movie set mostly at sea, with CGI or in 3D unless you have done at least one before). But then maybe that's why the movie works so well - because the director had to basically improvise every day on the set and make up the rules as he went along he ended up making something altogether original. And the 3D filming that used was never done so in a GOTCHA kind of way but rather to immerse the viewer fully into the movie. The scenes set in India are beautiful enough but the nature scenes set on the ocean are downright hypnotizing. The movie begins in the lovely seaside village of Pondicherry in South India. My grandfather actually spent some time there and remembered it fondly, making it a place I have always wanted to visit. Interestingly, M. Knight Shyamalan was born there so he could have actually spent some time in his birthplace had the ending of the film supposedly not clashed with his trademark twisty-endings. One of the oldest cities in India (Romans used to do trade with India there in 100 BC) it also has alot of French influence having been a territory from 1674 until Independence. The city is akin to a character in the movie and immediately does the job of transporting one to a faraway land. The story is at once very simple (an Indian boy survives a shipwreck on a lifeboat with four animals) and very complicated (you gotta see the movie to understand) but unlike most book adaptations - most fans of the book were actually very happy with how the movie turned out. 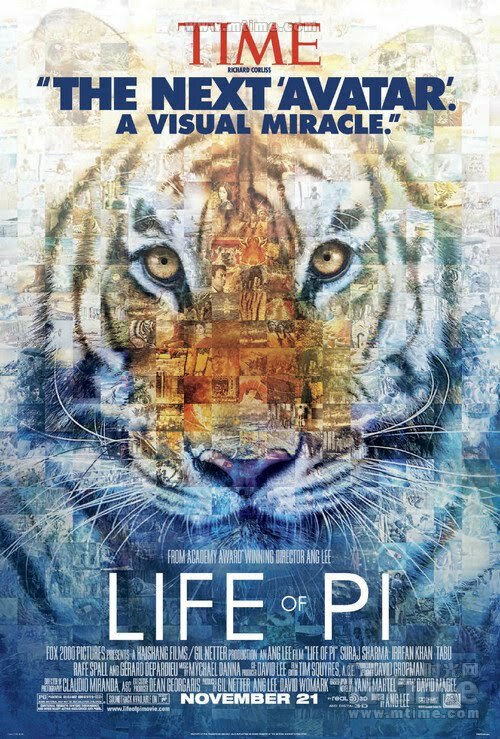 Life of Pi has been nominated for 11 Academy Awards including Best Picture, Best Director, Best Adapted Screenplay, Best Cinematography and Best Visual Effects. It's one of those rare movies that tells a story that is more than just what is shown on the screen yet fully encompasses you into the experience. Love the song Tum Aagaye Noor. Life of Pi was a pretty good movie.